home / Multimedia / The Holy Land in news / The Custody of the Holy Land launches its new site for the .. The activities to preserve, study and enhance the Church of the Holy Sepulchre have been made possible by the contributions of numerous supporters and friends of the Holy Land, and are part of the project “THE CENTER OF THE WORLD” which is supported by ATS pro Terra Sancta. 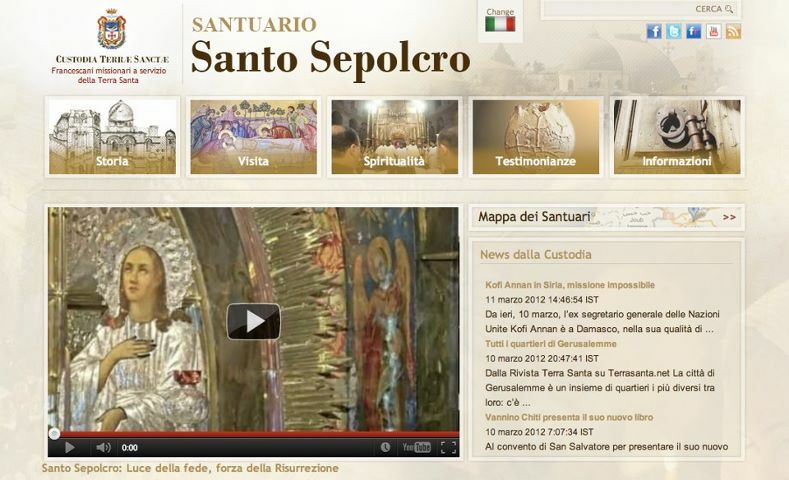 In the “Gadget” section of the new site can be found the Guide and various artistic products produced by ATS pro Terra Sancta on the theme of the Holy Sepulchre, with the aim of supporting the preservation and enhancement activities!